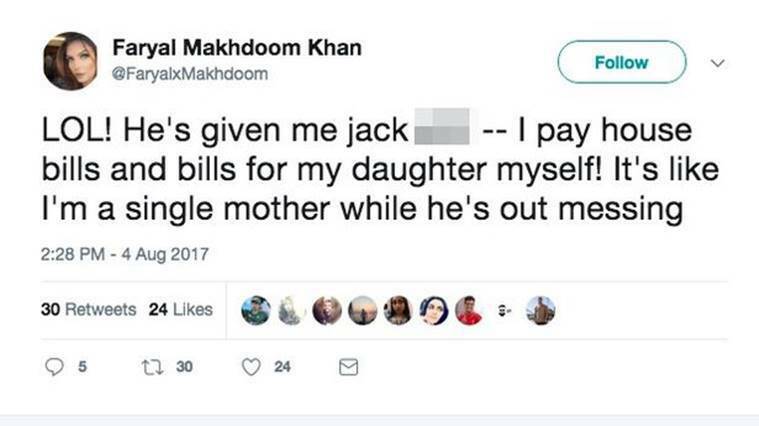 In twenty tweets spread over an hour and half, British boxer Amir Khan and his model wife Faryal Makhdoom laid their relationship bare on social media for all to see. It had its share of accusations, question marks over fidelity, and rebuttals. 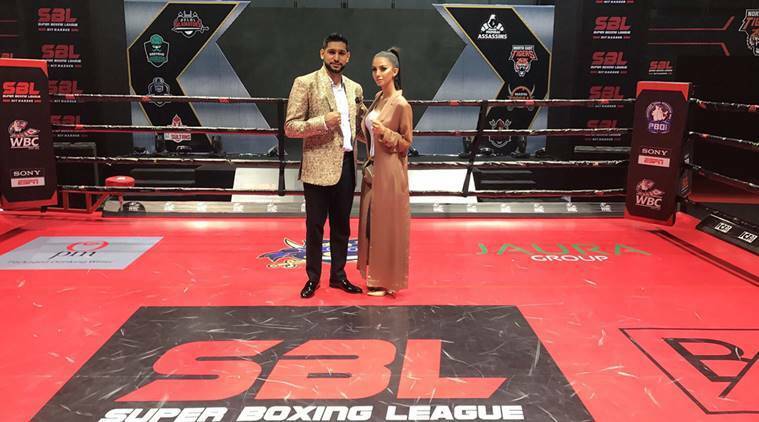 Amir Khan and his wife Faryal Makhdoom have been making their private affairs pretty public in the recent weeks. 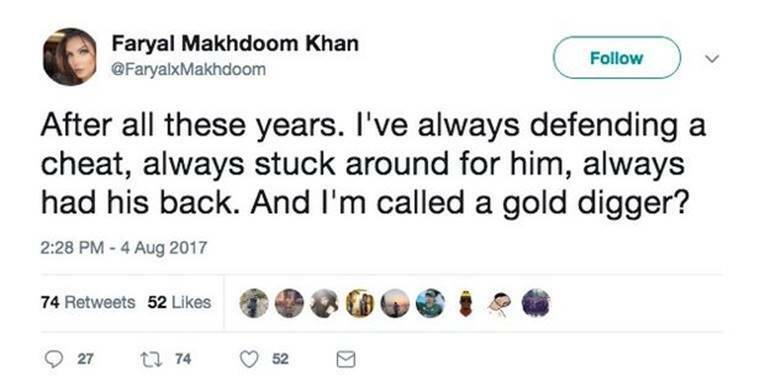 First it was Makhdoom accusing the British boxer’s family of “bulling” her in a series of Snapchat posts. And now it appears that the duo have decided to split following tweets from his account which said, ““So me and the wife Faryal have agreed to split. I’m currently in Dubai. Wish her all the best.” But that was not the end of it. The two shared more intimate information into their lives with Amir accusing Makhdoom of cheating on him with fellow-boxer Anthony Joshua. 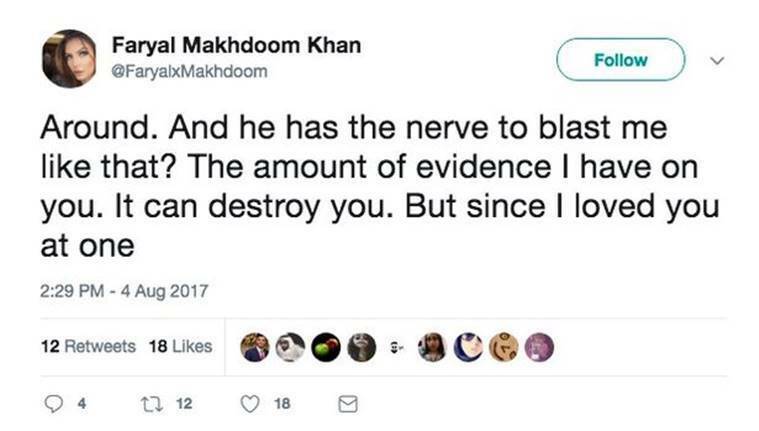 At first many suspected that Amir’s account may have been hacked but Makhdoom hit right back with stinging responses of her own to make it uglier than what it already was. 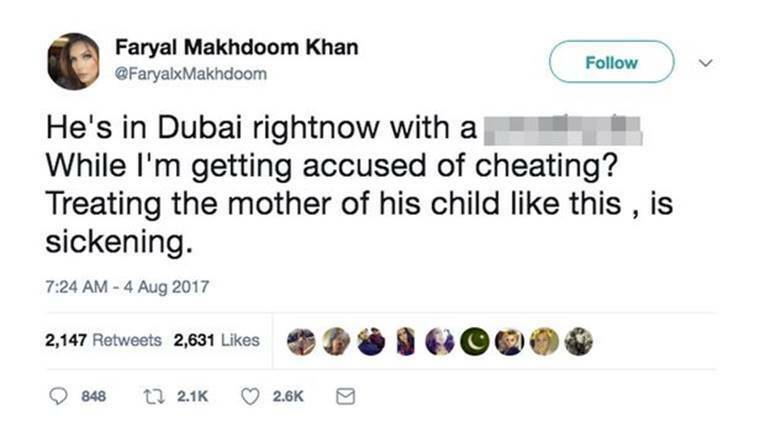 She branded her husband of four years a cheat and a liar in her strong response. The two have a three-year-old daughter Lamaisah. To make things even more bizarre, the couple had been pictured just five days back at an ice bar in Dubai. 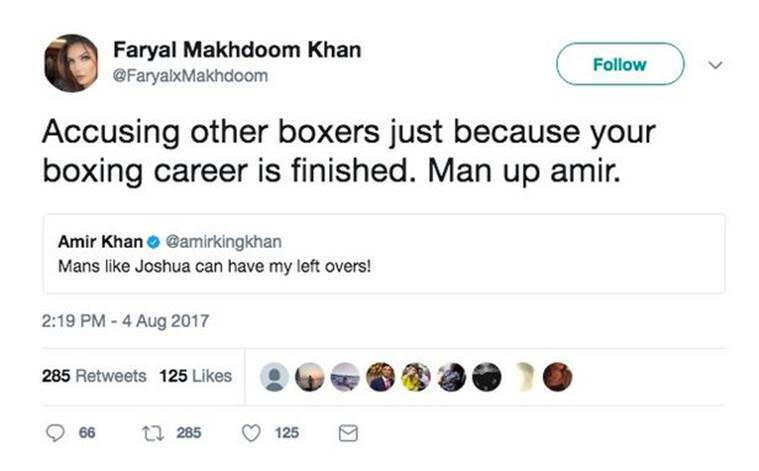 In one of the tweets, Amir shared a screenshot of an alleged conversation between Makhdoom and Joshua which took place on Snapchat. He also made it clear that the two were now splitting while accusing her of being a “gold digger”. Mans like Joshua can have my left overs! Throughout the tirade, Faryal remained quiet but as soon as the flurry of tweets stopped, came her rebuttal and a strong one at that. The first read: “I’m not sure if it’s your family tweeting for you. But I’m not the one who been [sic] in the papers for cheating”. 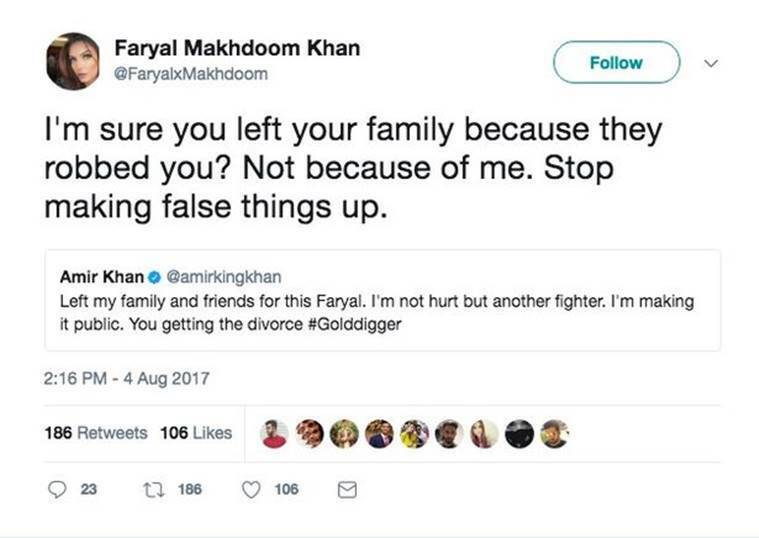 Her next one accused Amir of “making false things up” while re-igniting the family feud with a claim they had “robbed” him. Not done yet, she replied to accusation of cheating on him with Joshua. “Accusing other boxers just because your boxing career is finished. Man up amir,” she added. The majority of the tweets in this tirade have since been deleted but not before many took screenshots of them. Amir had got engaged to American model Faryal in 2012 when she was 20 and he 26.